Located near Carmel Valley Village, this inn transports you back into time with an old fashioned saloon and a collection of cute little cottages and buildings. Located in the rear of the property is a trail that leads up to a secluded area with a private home (which can be rented) and a beautiful place for a wedding. 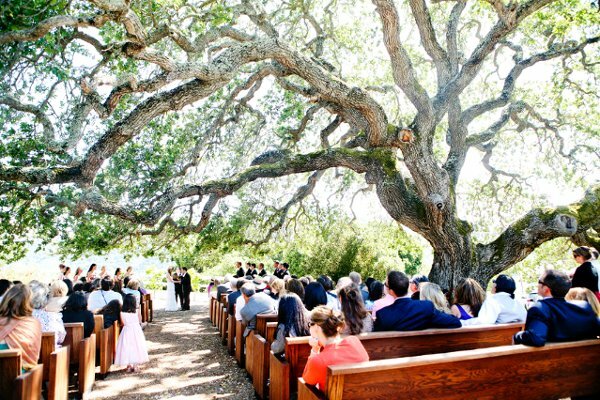 Under a majestic oak, guests can sit in solid wood church pews and enjoy your beautiful ceremony. Site fees start at about $2,000.